Lord Mayor, Councillor Julie Flaherty with students and teachers from St Patrick’s College, City of Armagh High School and Clounagh Junior High School at the recent inclusive golf festival day. 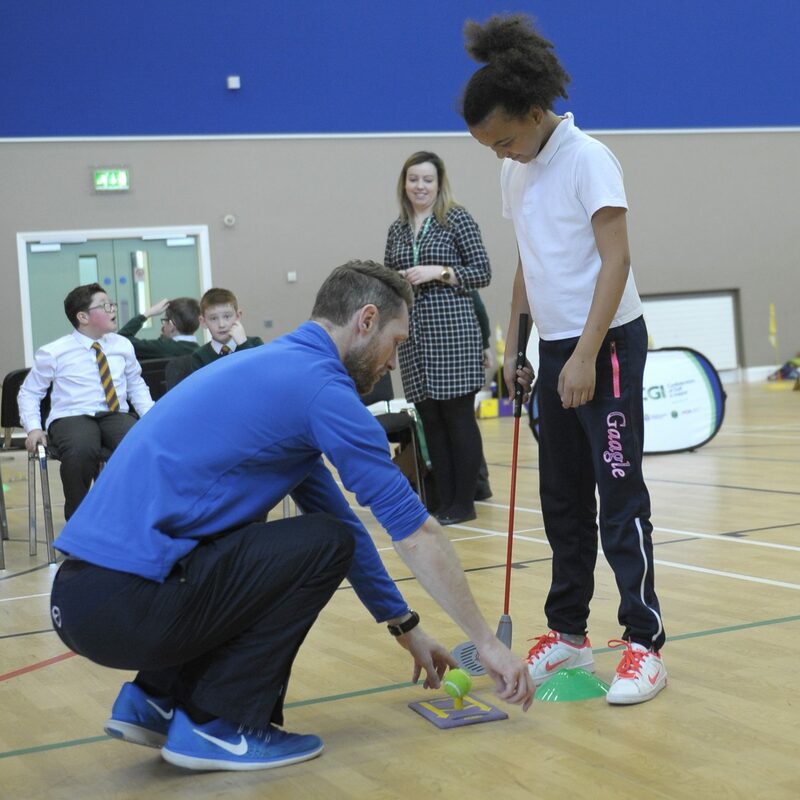 150 school children from eight schools across the borough of Armagh City, Banbridge and Craigavon got to enjoy four weeks of golf training from local PGA coaches Lee Campbell, Jason Greenaway and Zoe Allen at an inclusive golf programme. 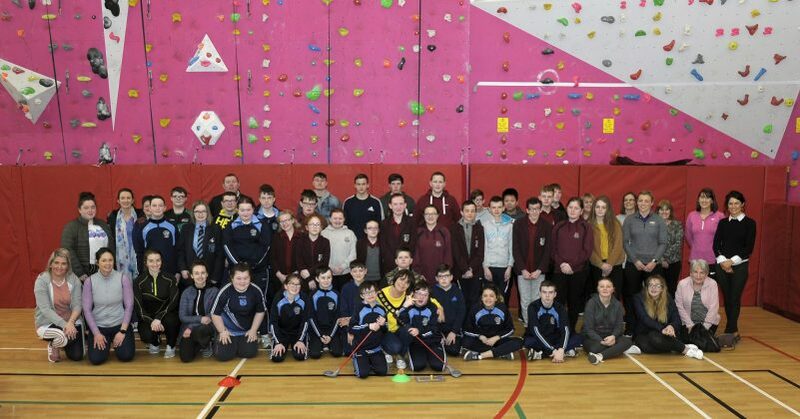 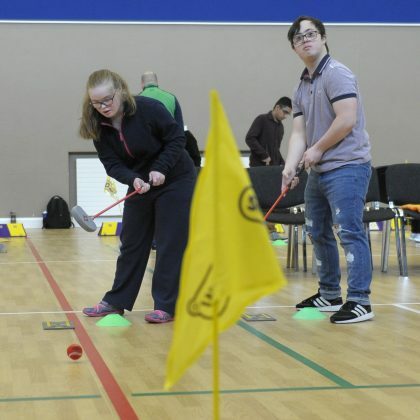 With funding secured from the Department for Communities, Armagh City, Banbridge and Craigavon Borough Council organised the weekly sessions at the local schools, which saw students of all abilities develop golfing skills with the support of qualified instructors. 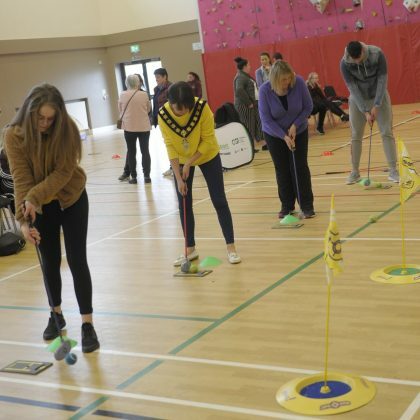 Covering a range of skills, the programme included guidance on chipping, swinging and putting, as well as enabling two teachers from each school to attend a short golf workshop and receive golf equipment worth £650. A festival day was held at Gilford Community Centre recently – organised in conjunction with the Confederation of Golf in Ireland and supported by staff from Live Active NI and Disability Sport NI – saw students take part in a range of putting and chipping stations. 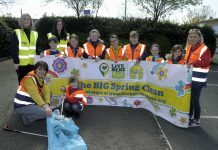 Marking the end of the programme the festival day celebrated the children’s newly acquired skills. Students ‘putting’ their new golfing skills to the test. Putting station at the inclusive golf fun day. Lord Mayor Councillor Julie Flaherty and students at the inclusive golf fun day held recently at Gilford Community Centre. 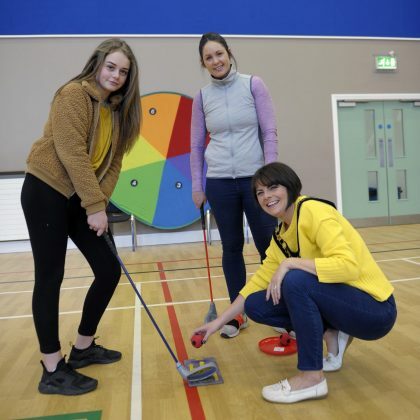 Lord Mayor Councillor Julie Flaherty at the inclusive golf fun day held recently at Gilford Community Centre. 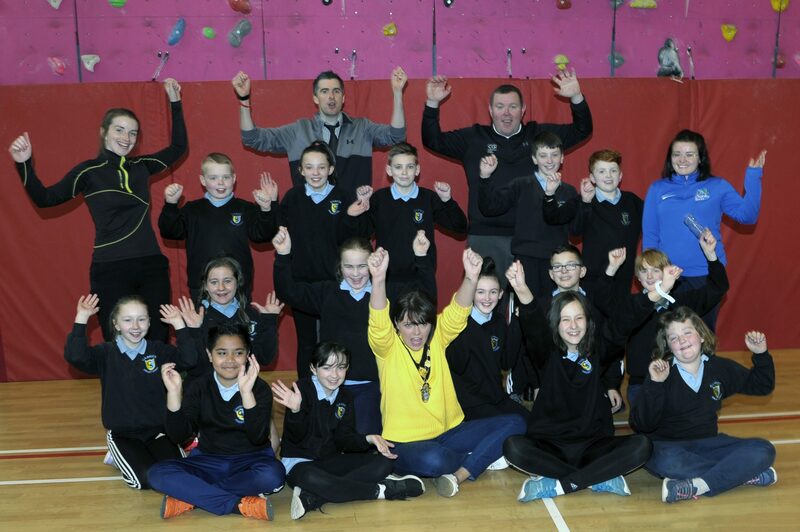 Lord Mayor, Councillor Julie Flaherty with students and teachers from Carrick Primary School at the recent inclusive golf festival day. 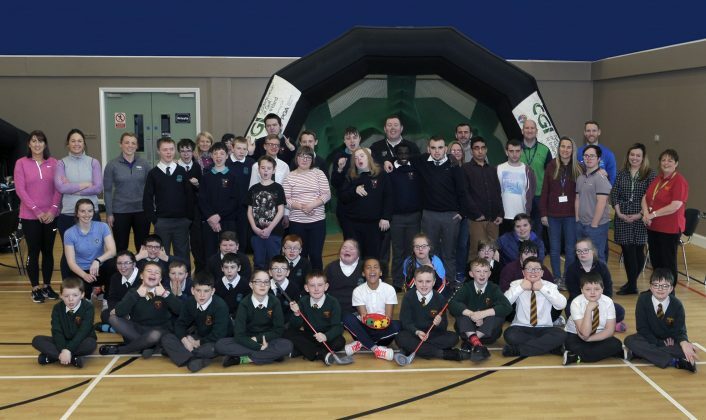 Lord Mayor, Councillor Julie Flaherty with students and teachers from Donard School, Lisanally Special School and Ceara School at the recent inclusive golf festival day. 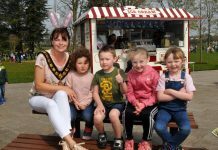 Previous article‘Egg-citing’ Easter egg trail in Portadown People’s Park!